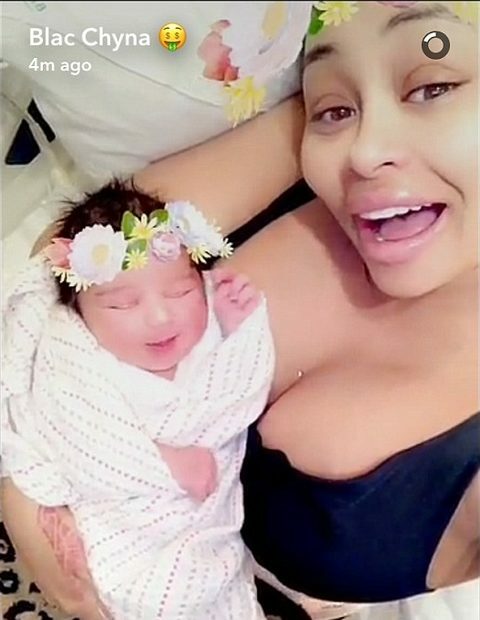 Kim Kardashian couldn’t restrain and has become the next star who published a photo of her newly born child in a social network Instagram. 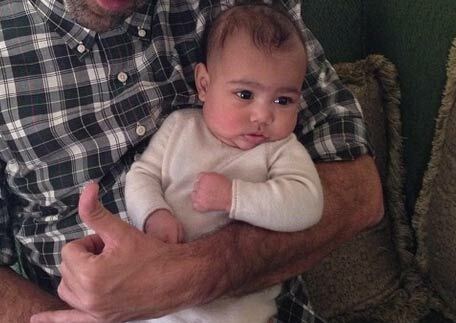 Affectionate fans argue that baby resembles the father, Kanye West. 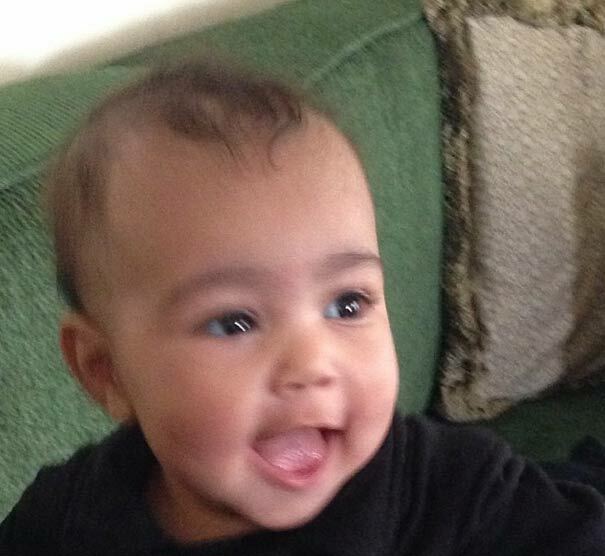 In the picture the little North West poses with a broad smile . On her little face it is already possible to see the eyebrows, and on her head – pretty dense hair. Having seen the picture, the numerous subscribers of Kim Kardashian were right there scattering in touching comments and almost unanimously they began to claim that small North was the copy of the father, rapper Kanye West. Meanwhile, by the rumors, the newly made father is very dissatisfied that Kim Kardashian couldn’t restrain and publish the photo of the baby. Kanye treats extremely negatively any manifestation of private life in public, on the camera and in the press. Nevertheless earlier the quirky paparazzi managed to take a picture of Kim embracing North in the street. So it was nothing to do for Kardashian but to expose the photo of the daughter in public.